This is one of the most attractive pictures I have. Yes. #1: Our wonderful pediatrician (who we left behind in Raleigh – waaah!) pointed us to Ellyn Satter’s Division of Responsibility in Feeding. Basically, the parent is responsible for the what/when/where, and the child is responsible for how much and whether to eat the foods that are offered. It’s a little simplistic, and we do require our older daughter to eat vegetables even when she’d rather not, but I like it as an overarching principle! #4: Try starting a meal with less-loved foods. My older daughter would almost always start her lunch with roasted sweet potato or butternut squash bites when she was a baby. Our second child is less likely to have a specially made veggie at lunch (oops), but I usually give her her favorite things, like fruit, later in the meal so that she eats her main dish while she’s super hungry. Whole wheat blueberry muffin recipe from Make Healthy Easy. I added salt and vanilla. Toddler approved! Bonus tip: Naked meals = less laundry. #5: Keep offering rejected foods. This one is hard, since I hate wasting food, but research says we should, and so I do! My one-year-old, who used to eat avocado every day, hasn’t been eating it lately. Bummer. We’re still trying, though! I just try to pretend I’m a blissful optimist, and sometimes my kids surprise me by eating something I don’t expect them to. #8: Add utensils partway through the meal. When our one-year-old starts squawking and signing “all done”, I hand her a spoon or fork and it often renews her interest in the meal! It’s good practice, and she’s not so hungry that they just frustrate her. 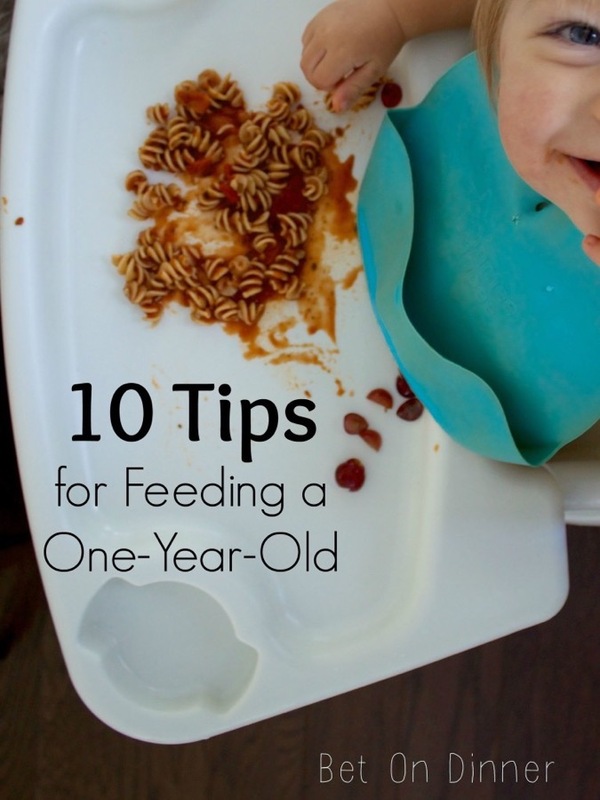 #10: You know your kiddo best. My girls both like to eat a decent variety of foods, but mealtimes can be a big struggle for some kids. If that’s you, stay tuned! Later this week I’ll have a post for you with some ideas for when the feeding struggle is so, so real. 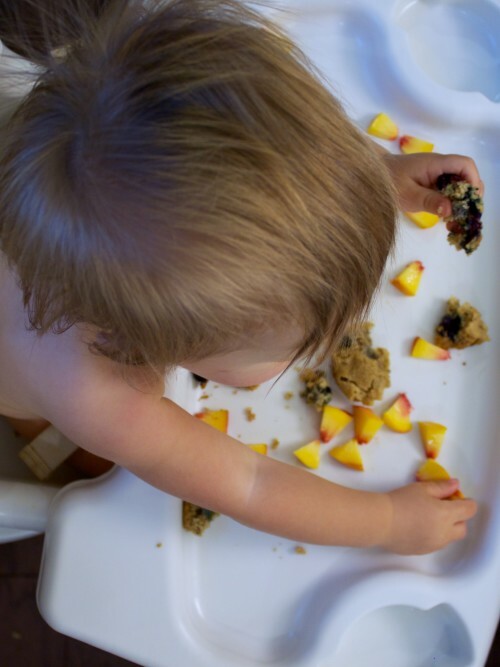 BabyCenter’s age-by-age guide to feeding your toddler has good info, especially for figuring out serving sizes. I love this article Help! 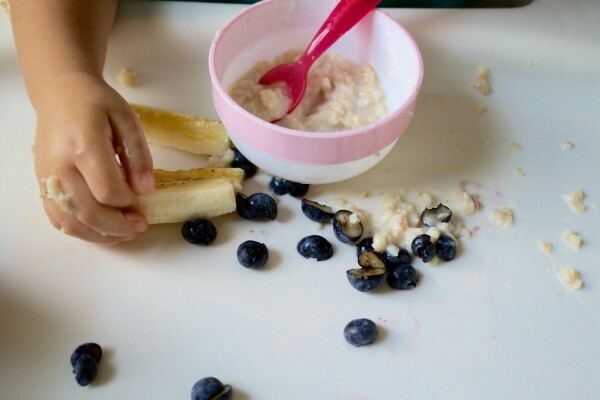 My Toddler Only Eats *insert specific food here* from Yummy Toddler Food – and this one: Simple Ways to Help Your Toddlers Try New Foods. This post 10 Tips to Raise and Encourage Adventurous Eaters from Mel’s Kitchen Cafe is super helpful and great for older kids, too! My Pinterest board “Kid Food” has lots of other great links! Share your tips in the comments! I’d love to hear your thoughts! I’m not a doctor or a dietician, and highly recommend that you consult your child’s doctor with feeding questions. I’m just sharing what is working for us.